Who Did Bruno Mars Used To Impersonate? 5. Who Did Bruno Mars Used To Impersonate? 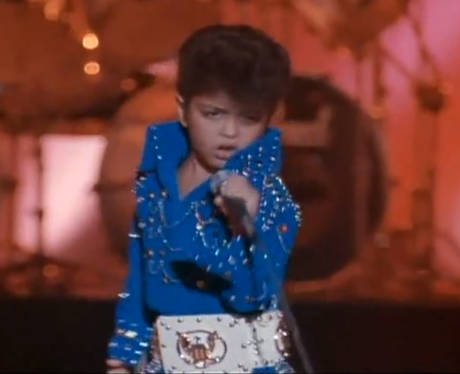 Bruno became the world's youngest Elvis impersonator at just six years old. In 1992, he had a cameo appearance in the Nicolas Cage film Honeymoon in Vegas as a mini-Elvis singing his heart out to 'Can't Help Falling in Love'.